I'll admit, fests have never been my thing. I've either always had showings or been too exhausted afterwards to truly enjoy Summertime Chi to its fullest. Well folks, mistakes have been made--I have really been missing out. 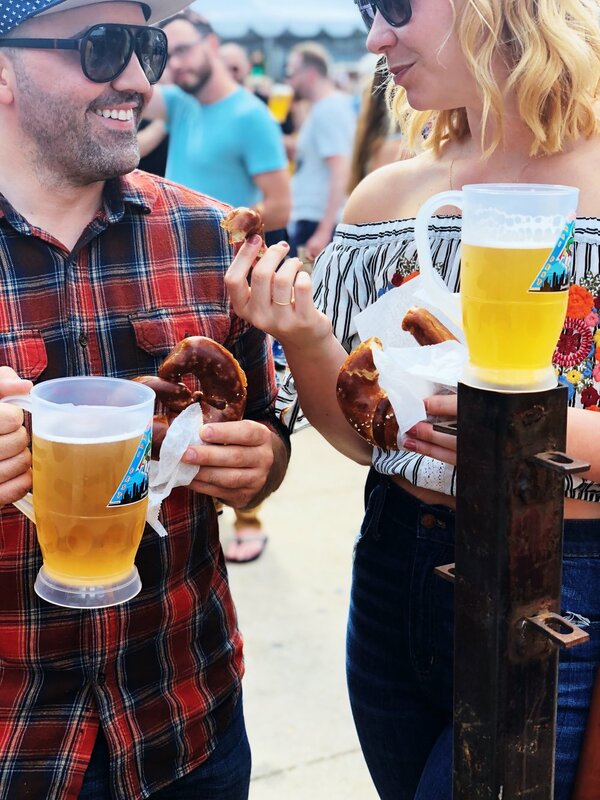 Maifest Chicago in Lincoln Square was obviously on the list of fests we wanted to check out this year. In our opinion, there aren't many things better in the summertime than a cold German pilsner. So with our beers & pretzels in hand, we enjoyed the Rheinischer Verein Fanfaren Corps, a German ethnic drum and bugle corps & even saw the Queen! What is Mayfest (Maifest in German)? It's the traditional German celebration of the arrival of spring that includes a maypole which is decorated to show off the history and crafts of the local village or town. We caught the last day of the fest, but previous days included a the traditional keg tapping, the crowning of the queen & lots of music and dancing. They also have carnival games in addition to great German food. Located in the Lincoln Square neighborhood of Chicago & hosted by the May Fest Committee, and Committee President Joe Matuschka.